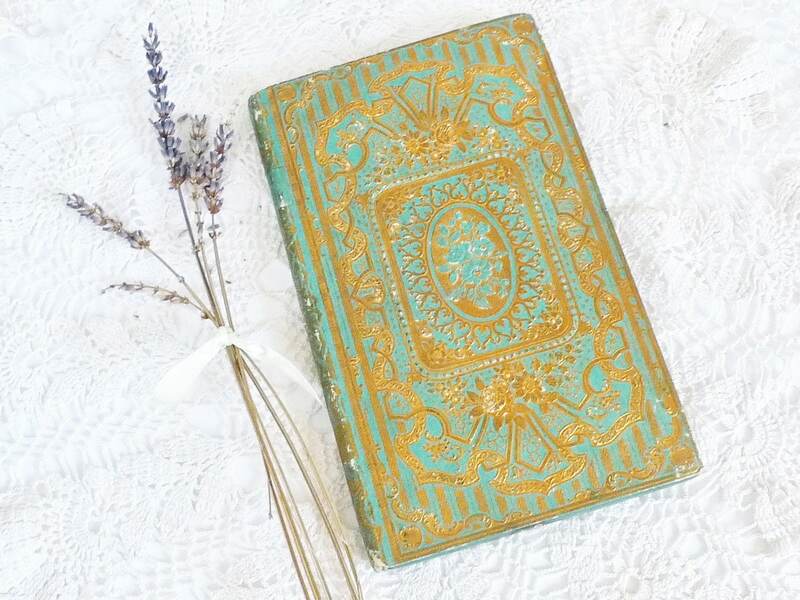 If you're looking for unique and timeless guestbooks, Spellbinderie offers stunning blank books made from French antiques published in the 1800s. 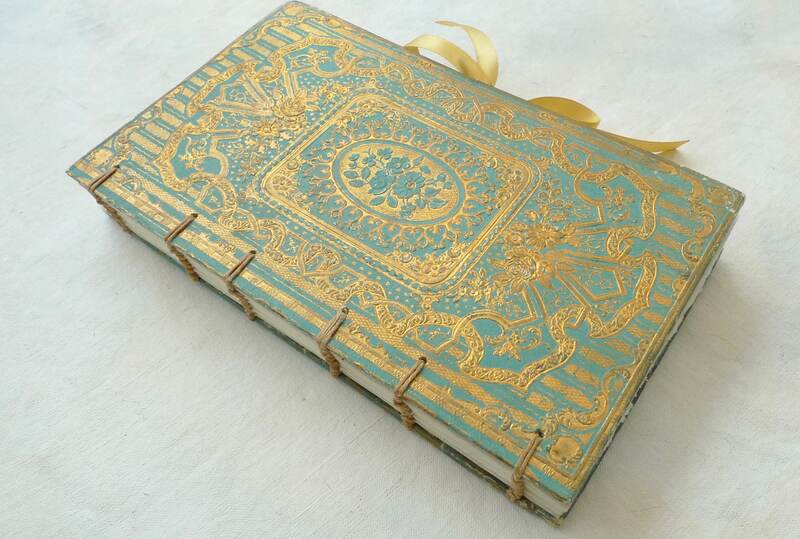 These gilded ornate tomes are just right for romantic fairytale weddings and milestone anniversaries. Photos show sold guestbooks but a similar guestbook can be made for you. Simply choose the book cover you love and options for inside the book. Read on for details. NOTE: This style of book is small, larger size not available, dimensions are approximately 4.25 x 7.25" (11 x 19 cm) on average. If you don't see what you like, contact me to source a book for you. 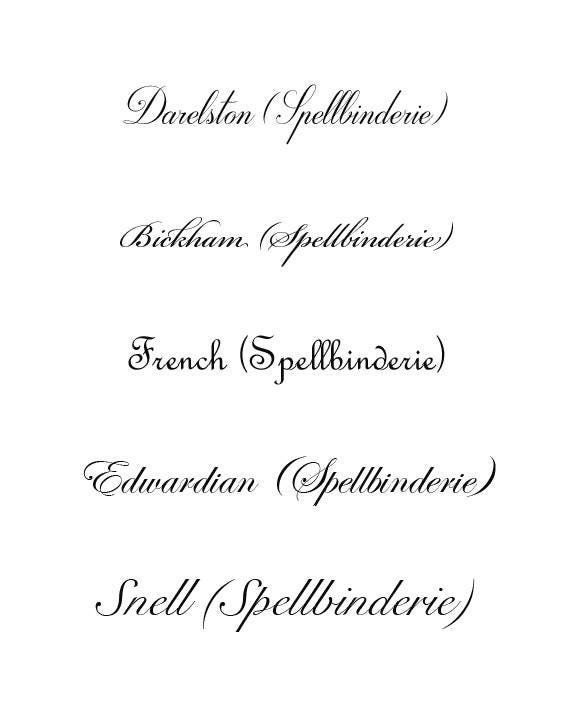 Spellbinderie is based in France. Please note processing times for each listing. Other options available upon request, don't hesitate to ask. 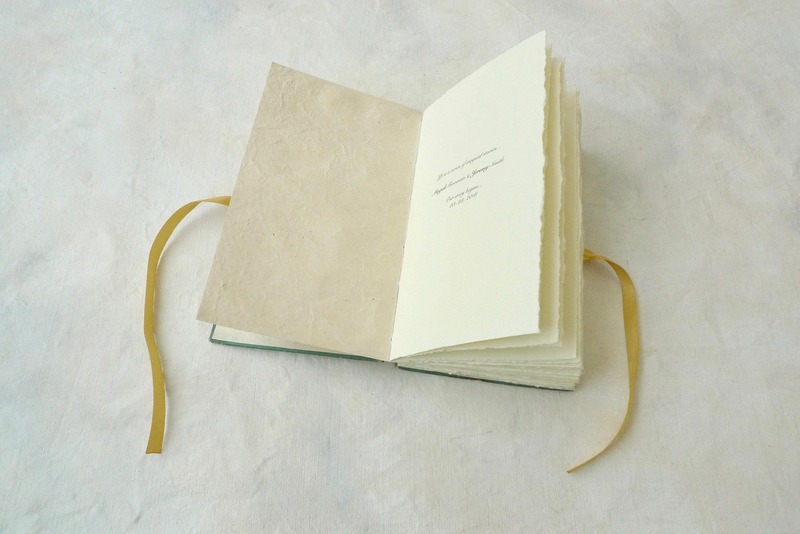 Sample photos show a sold guestbook -- both before an after! 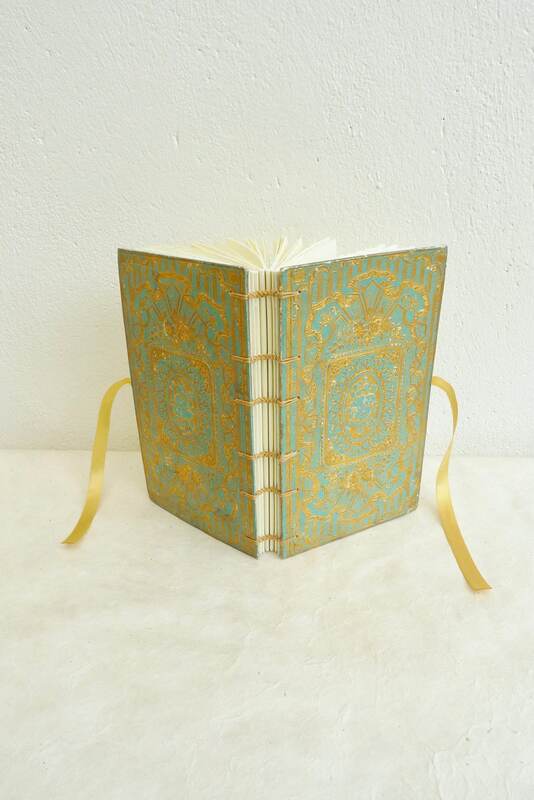 To transform an antique book into a guest book, the spine is cut and the text block removed then the rescued and carefully prepped covers are rebound by hand with ivory paper using a multi-needle Coptic method that is strong and flexible as well as beautiful. Coptic bindings are famous for allowing the book to open flat making it easier to write inside.